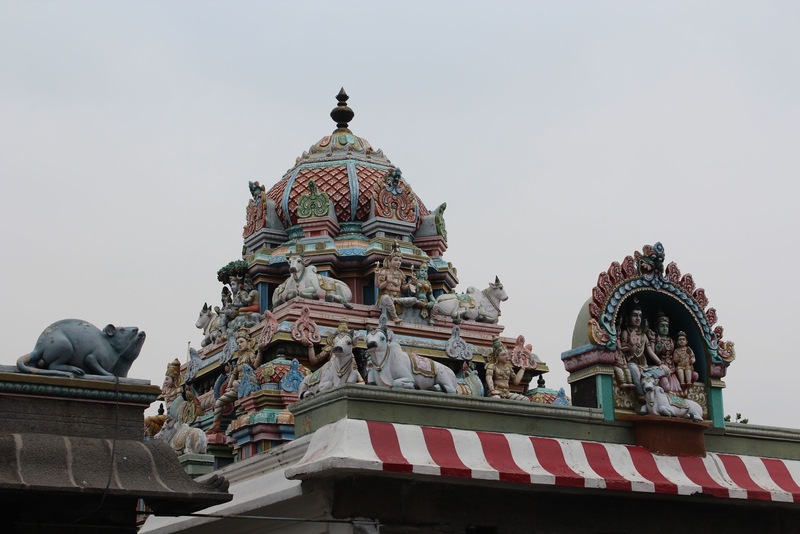 Chennai is home to several functioning temples that are over a thousand years old. These temples are located in places that continue to bear names by which they were referred to in Tamil hymns dating back to 7th century AD. 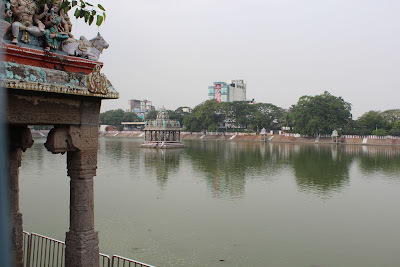 On our second day in Chennai, we spend most of the day visiting a few of the most famous ones. Kapaleeshwar is probably one of the most venerated temples of Tamil Nadu. Located in the temple complex of Mylapore, this temple is visually stunning with its elaborate gopuram. The name of the temple refers to a legend where Lord Shiva plucked one of Brahma's head because he had failed to show respect. 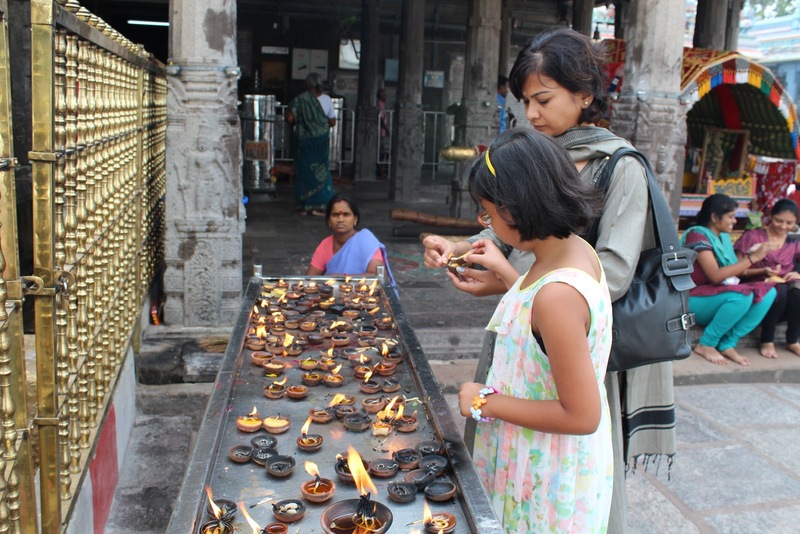 There were long lines of devotees at each of the smaller temples within the complex, but the longest lines were clearly for the main temple that housed Lord Kapaleeshwar. Ptolemy, the Greek philosopher refers to Mylapore in his books as Millarpha, a well-known sea-port town with a flourishing trade. When the Portuguese invaded in 1566 AD, the temple suffered considerable damage and what we saw today was the rebuilt structure from 300 years ago. 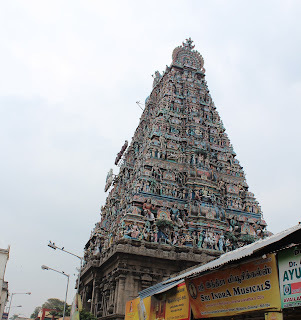 The other prominent temple we visited was the Parthasarathy Temple in Triplicane which many devotees say is as important to them as Tirupati. 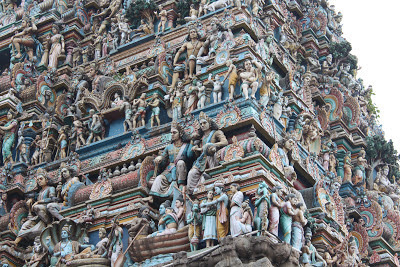 Given the amount of devotees that make their way into these temples, I was quite impressed by how well they were managed. The crowds were lined up with no jostling or pushing, the place was pretty clean, and they had clear rules and signs for photography. There are special annual festivals at Mylapore which continue to devotees from far away. The biggest of them takes place in the month of March for ten days. 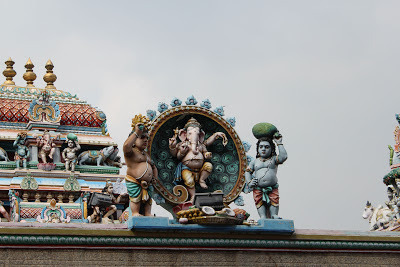 After the temple tour, we decided to stop by at a Saravana Bhavan outlet nearby. 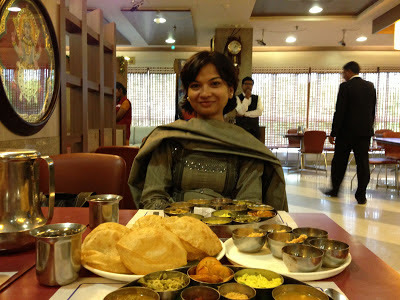 The Saravana Special thali was a good way to sample some of the local cuisine. 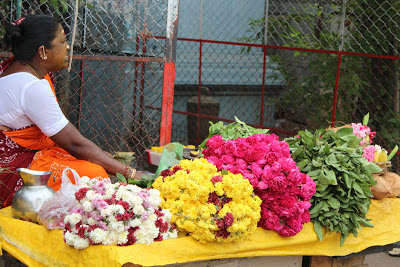 There were over a dozen bowls filled with vegetables, sambar, rasam, payasam, etc. There must have been servings of about 25 different dishes on our thali. After that sumptuous lunch, we popped into Sri Krishna Sweets next door to shop for the best sweets and pickles Chennai has to offer. I never leave this city without some delightful stuff from here!